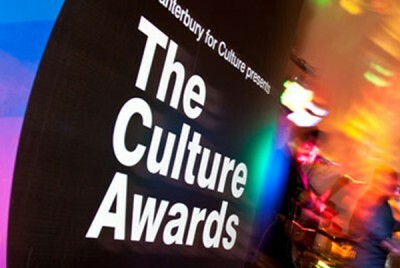 Marcel Duchamp in Herne Bay Festival Wins 3 Awards! Up on stage alongside Orlando Bloom and Jasmine Vardimon, ÜberRaum is absolutely delighted that the Marcel Duchamp Festival in Herne Bay swept the board winning three out of four categories it was nominated for. Standing out as the East Kent People’s favourite (public vote) the festival featured a selection of art works by ÜberRaum’s director Markus Seifermann celebrating the centenary of Marcel Duchamp’s stay in Herne Bay.